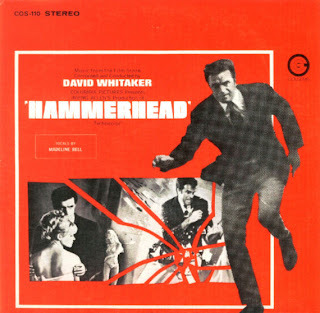 Yes, finally, I have the soundtrack album for Hammerhead all ready to go. But this one we are going to do a little differently. A good friend of this blog had posted it at his own blog, and as a very friendly gesture, answered my previous post and offered the LP to us. Simply copy the addresses and paste into your browser. Again, thanks to Jason for making this LP available for all of us to enjoy. Yesterday, November 6, 2007, was the 39th anniversary of the film premiere of Head, the Monkees lone movie. Although virtually ignored when it came out, the film has since become a cult classic, and is regularly shown on cable movie channels. The soundtrack certainly is one of the most bizarre soundtracks of the era, but it features some of the Monkees' best work. Why am I bringing this up, and doing this a day late? I didn't forget about the anniversary yesterday, but I wanted to plan out what I wanted to say. Ironically, yesterday saw the DVD release of the film Help!, the Beatles second film. Although released about 10 years ago on DVD and quickly pulled, this new release has all the special features one would want from such a release, and actually comes in two versions--one cheaper version with a lot of special features, and a ridiculously priced version with so many extras that it may justify the price. 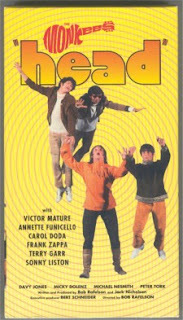 Anyway, what I wanted to say is that with the release of Head approaching its 40th anniversary, wouldn't it be nice if it could be re-released in 2008 with the same care--and extra features--that Help! came out yesterday with? I have heard that Bob Rafelson had been approached a few years back to do just such a approach, but refused. Head is readily available on DVD, but wouldn't it be great to release it bigger and better than ever before, and match it up with the upcoming re-release of the Head soundtrack--with lots of new features--on Rhino Records? Just a thought. Anybody care to post theirs?